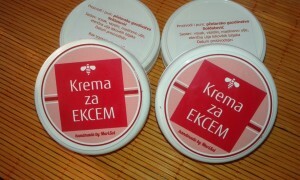 HONEY-BASED COSMETICS (creams, lip balms) is another product in the assortment of the ‘Soldatović‘ Agricultural-Beekeeping Estate. We produce home-made and hand-made cosmetics based on bee wax, honey and essential oils of plants that we personally grow. Given that the skin is the largest organ in the body, it is hardly surprising that anything that is applied on it sooner or later ends up in the blood stream. 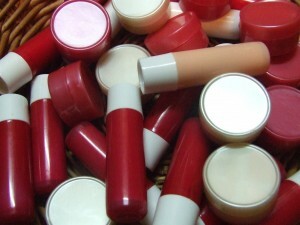 Having that in mind, we can claim with utmost certainty that the cosmetic products made by the ‘Soldatović’ Estate are 100% natural and completely harmless. 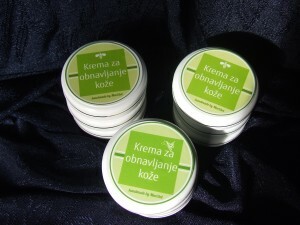 The skin-regeneration cream produced by the ‘Soldatović’ Estate, based on a narrow-leaved paperbark essential oil is made of completely natural ingredients, bee wax, petroleum jelly, home-made cold-pressed olive oil, with the addition of narrow-leaved paperbark, according to a century-old recipe, as it was once prepared in the times when our grandmothers made skin creams by hand, each jar individually, to produce the best skin effect. Given that the essential oil of narrow-leaved paperbark has antiseptic properties and an anti-bacterial effect on bacteria, fungi, viruses, as well as anti-inflammatory effect (prevents occurrence of infections, inflammations and acne), the cream can be used for treatment of skin – acne, abscesses, small wounds; treatment of different forms of dermatitis and skin allergies; treatment of fungal skin infections, herpes viruses and warts; it alleviates effects of burns and insect bites. It is a strong skin immunostimulant. It is also suitable for children; however, it first must be checked whether they are allergic to bee products. It is applied two or three times per day on a painful spot, but if you find it pleasant, it can be applied more often. It is 100% free from chemical additives. 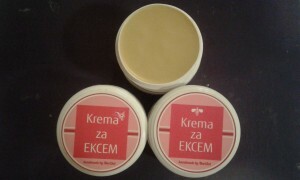 Home-made cream for treatment of eczema is hand-made from macerate, based on home-made cold-pressed olive oil, several highly therapeutic plants (marigold, plantain, St. John’s Wort, yarrow) and bee wax. It has an antibacterial, antiviral, antibiotic and antifungal effect on skin. 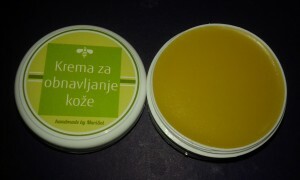 Nearly most of skin problems can be cured by this natural balm based on properties of medicinal herb oils. 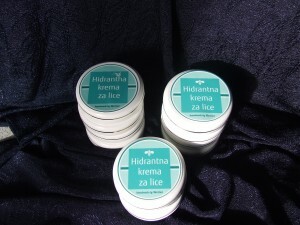 The home-made cream for treatment of eczema produced by the ‘Soldatović’ Estate will help you alleviate the symptoms of eczema, psoriasis, skin inflammation, itch, slowly-healing wounds, cuts, grazes, bruises, insect bites, rash, etc. It is mildly spread two or three times per day on painful spots, but if you find it pleasant, it can be applied more often. It is 100% free from chemical additives. Multi-active / anti-wrinkle cream gives tone to the skin – a formula enhanced by natural ingredients such as shea-butter for skin and the oil of lavender, St. John’s Wort and marigold, with the addition of natural bee wax, makes skin tight, more compact and deeply hydrated. 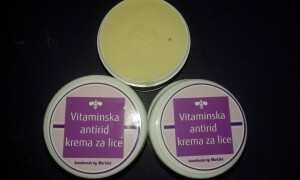 The cream contains vitamins A and E. Its rich formula and light texture enable fast absorption and provide softness to skin. Daily use of anti-wrinkle cream nourishes and gives tone to the skin and reduces the signs of aging. Its regular use, in the morning and in the evening, by mildly spreading the cream around the eyes and on the whole face and neck, makes skin look shinier and more compact. It is 100% free from chemical additives. Hydrating cream softens, regenerates and freshens the fine face skin. It is easily and rapidly absorbed by the skin. 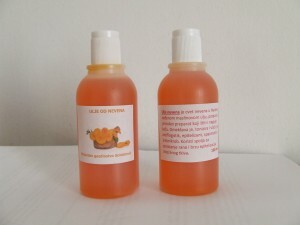 It is based on a home-made macerate of marigold and glycerine, with the addition of aloe-vera gel. It has a very mild scent of plants, honey and rose water. It contains vitamins A and E. It should be applied in a thin layer, once or twice per day, best in the morning and in the evening. It is particularly beneficial on windy or very sunny days. It is 100% free from chemical additives. 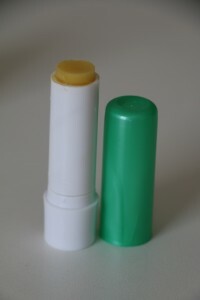 A natural, healthy, effective balm made of honey, bee wax and other natural ingredients, designed for lip care. It is hand-made and ideal for daily, regular use. A delicate lip mucous membrane absorbs it and becomes elastic, protected, while lips treated by this balm are truly nourished and hydrated in a most natural way. It is made solely from edible, natural ingredients, most important being olive oil and profusion of bee wax. It differs according to the type of oil used for its made – camomile oil, marigold oil, etc. It is suitable for both children and adults. It is sold in stick or packaging. A home-made and entirely natural preparation that regenerates and nourishes the damaged and dry face and body skin. It is made of home-made olive oil and dry marigold flower. 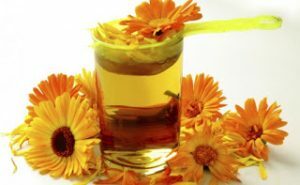 Since marigold has a mild antiseptic effect (due to a high content of iodine), it can be used as a natural supplement for combating different types of skin infections. A natural, home-made deodorant stick with antibacterial properties and wonderful refreshing scent of lavender essential oil. It is hand-made from completely natural and edible ingredients, such are coconut oil, corn starch, sodium bicarbonate and bee wax. This deodorant stick will not suppress perspiration, the skin will breathe normally, but there will be no unpleasant smell. It should be rubbed mildly under armpit after shower!